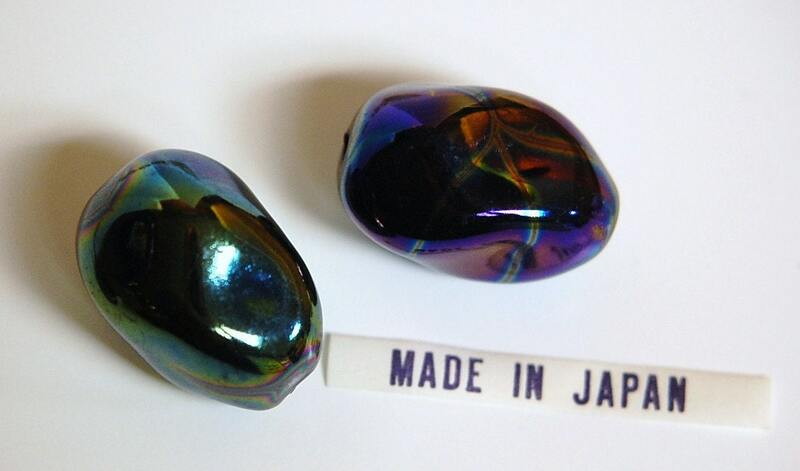 These are vintage ceramic beads that were made in Japan. 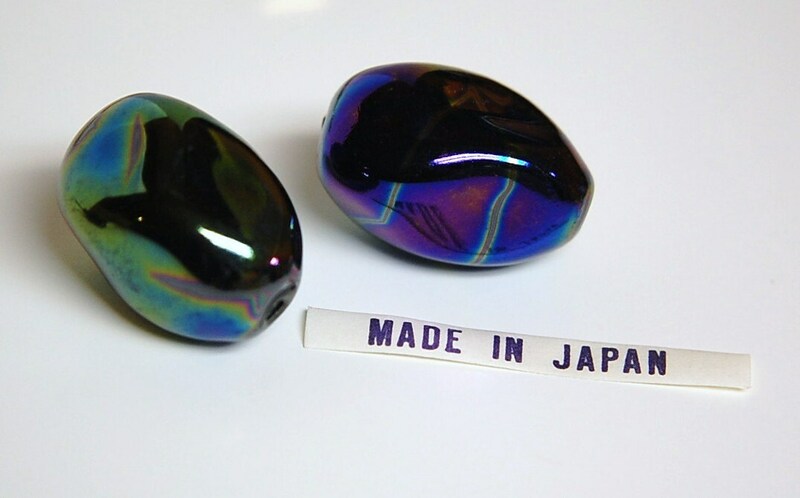 They have a metallic iridescent finish on them. These measure 27mm X 18mm. You will receive 2 pieces. I have this in an oblong shape also. A perfect vintage bead to go with some brand new peacock head pins! Exactly what I needed. Thanks so much for the quick shipping! Beautiful sheen, can't wait to figure out the next project. Love these beads in particular! Wonderful seller!